Warner Bros. Entertainment, DC Entertainment, and Warner Bros. Animation have officially revealed the cast for the upcoming The Death of Superman animated film. According to TV Insider, Jerry O'Connell (Billions) will return to voice Superman for the fourth time. 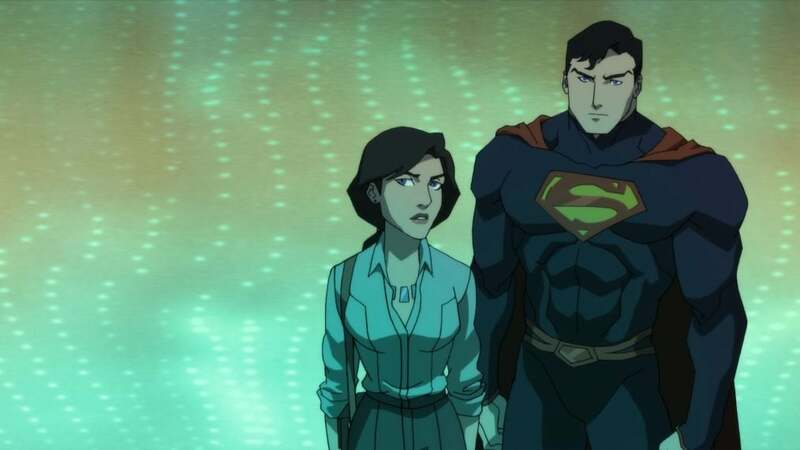 O’Connell’s wife Rebecca Romijn (The Librarians, X-Men) will voice Superman’s wife Lois Lane. Rainn Wilson (The Office, Star Trek: Discovery) will play the villain Lex Luthor. Other cast members include Jane the Virgin's Rosario Dawson as Wonder Woman; Castle and Firefly alum Nathan Fillion as Green Lantern; Covert Affairs' Christopher Gorham as The Flash; Timeless' Matt Lanter as Aquaman; Shemar Moore from SWAT as Cyborg; and Jason O'Mara, who played The Patriot in Agents of SHIELD, returning as Batman. Rocky Carroll of NCIS will play Cyborg’s father. Patrick Fabian from Better Call Saul will voice Hank Henshaw. "When a hulking monster emerges from an underground resting place and begins a mindless rampage, the Justice League is quickly called in to stop the colossal force of nature. But it soon becomes apparent that only Superman can stand against the monstrosity that has been nicknamed Doomsday. Battling their way throughout America, the two fight to a standstill as they reach the heart of Metropolis. Going punch for punch, Superman finally ends the threat of Doomsday as he throws one last punch and collapses forever." The Death of Superman will release later this summer on Blu-ray, DVD, and digital download. The second part of the two-part story, Reign of the Supermen, will arrive early in 2019. This will mark the second time that the DC Universe animated movies have adapted “The Death of Superman.” The first DC Universe Original Movie was Superman: Doomsday, which attempted to condense the entire saga into a single, 75-minute movie. With two films to work with, The Death of Superman and Reign of the Supermen are likely to stay much more faithful to the original sprawling epic. The original “Death of Superman” story was created by Mike Carlin, Dan Jurgens, Roger Stern, Louise Simonson, Jerry Ordway, and Karl Kessel. Superman’s death in Superman #75 was a highlight of the speculator bubble in the 1990s. Superman’s death was followed by the “Funeral for a Friend” story, which saw Superman’s loved ones, included the heroes of the DC Comics universe, in mourning and attending Superman’s funeral. Superman comics ceased publication for months following the Man of Steel’s death, until The Adventures of Superman #500 hit stands, offering the first hint of Superman’s return. The issue also offered the first glimpse at the four new Supermen. Each of the replacements took over one of Superman’s old titles during the "Reign of the Superman" arc.